In the 100-person village of Adara on Atauro Island—accessible only by walking three hours from the main island community or by boat—men and women have long relied on fishing as the primary source of income. But fishing is not always possible because of rough weather or other threats. Recently, an ACIAR-funded research project led by WorldFish supported the community to set up a small ecotourism venture to develop an island-first locally managed marine area. This has helped to attract tourists to snorkel and dive on the newly protected area of reef wall in front of the village, providing a much-needed new source of income from tourism. Worryingly, both these sources of income are being affected by marine litter, which is becoming more noticeable, explains Barry Hinton, owner of an eco-lodge resort on Atauro Island. “With the strong oceanic currents of the Wetar Strait, plastics easily find their way to the Atauro Island coastline,” he explains. It is a trend that is affecting all the world’s oceans. Defined as human-created waste that enters the oceans, marine litter consists mostly of plastic. Every minute globally, the equivalent of one dump truck of plastic enters our oceans. At this rate, there will be more plastic than fish in the oceans by 2050. Woman fisher, Atauro Island, Timor-Leste. Kate Bevitt, 2016. For the villagers of Adara, it is a relentless job to clean the beaches of the debris arriving from Indonesia to the west—a task they undertake as regularly as necessary, encouraged by the tourism ventures, to preserve the pristine look of the local beaches and ensure future income from tourism. Litter affects life under water too. Fish and other animals often mistake plastic for food, causing them to choke or get sick by ingesting it. This is a concern for villagers, who rely on fish as their main source of animal protein. Marine litter is just one of many pressures threatening the alternative income sources of Adara villagers, and eroding the benefits provided by small-scale fisheries globally, explains Dr. David Mills, WorldFish Research Lead for Timor-Leste. “Other pressures include competition with industrial fisheries, increasing pollution from land activities, climate change, environmental degradation and rapid coastal development. “Improved management, and participation by men and women fishers in management processes is really important to improve livelihood resilience and the sustainability of fisheries resources,” he says. “In addition to local management, we need to represent concerns of fishing communities like Adara in global discussions.” Research that focuses on some of these vulnerabilities and seeks to build the resilience of small-scale fisheries across Asia, Africa and the Pacific is therefore a key focus for WorldFish and the CGIAR Research Program on Agri-Food Systems (FISH). 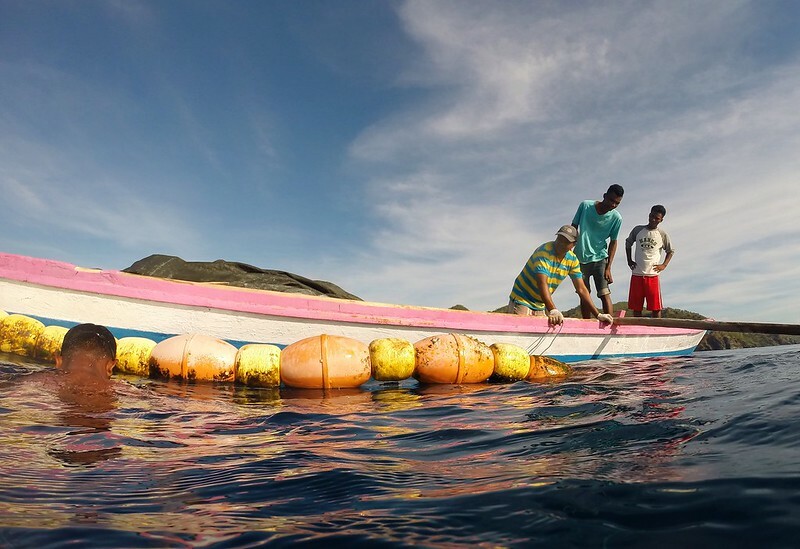 In Timor-Leste, the ACIAR-funded Fisheries, Livelihoods and Resource Management in Timor-Leste project worked with local fishers to adapt and test the design of nearshore fish aggregating devices (FADS). This has enabled fishers to catch more oceanic fish with less effort, helping to reduce reliance on vulnerable reef resources and enhance livelihoods. By 2030, local small-scale fisheries will only meet demand for fish in six out of the 22 Pacific countries. 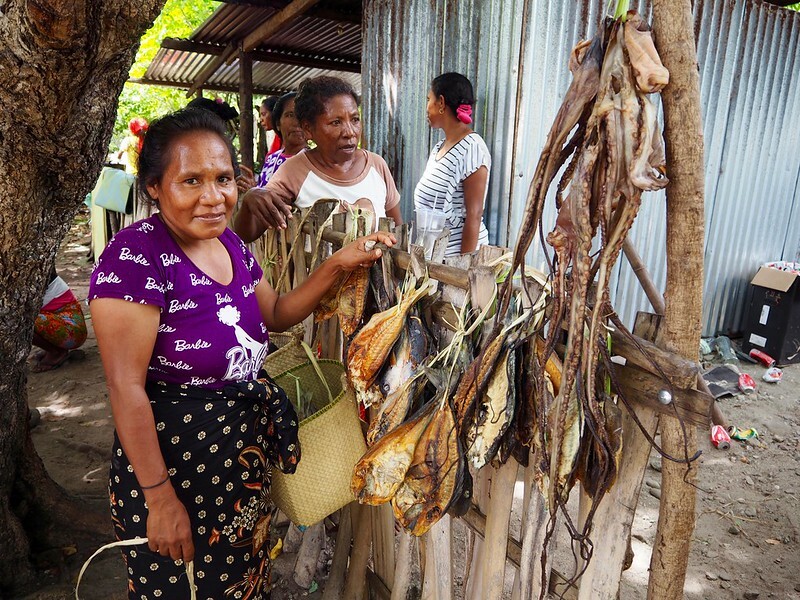 Research funded by ACIAR/DFAT conducted in collaboration with the University of Wollongong, the Pacific Community, national fisheries authorities and communities aims to improve fisheries governance in Solomon Islands, Kiribati and Vanuatu. Learnings from this research will be scaled across the region to ensure fish remains a vital source of food, income and nutrition. In addition to on-the-ground research, WorldFish and partners conduct global-scale research. For example, WorldFish is partnering with the UN Food and Agriculture Organization (FAO) and Duke University to assess the contribution of small-scale fisheries to food security, nutrition and poverty reduction globally. This work is a continuation of the Hidden Harvest: The global contribution of capture fisheries research released in 2012—arguably the most comprehensive research effort to quantify the economic importance of small-scale fisheries on a global scale. “This significant update—due out in 2020—will help draw the attention of policy- and decision-makers to small-scale fisheries, which are often under-reported and undervalued in governance and policy decisions, and in discussions of food futures,” says Dr. Mills. Another key piece of research, conducted in partnership with Lancaster University and FAO, involves mapping the nutrient yield of global fish landings in comparison with human micronutrient deficiencies. “Together, these research insights are being used to influence global and regional policies to ensure that small-scale fisheries—which support the livelihoods of 116 million people across the globe and provide vital nutrition to billions—are adequately recognized and supported by governments,” says Dr. Mills. The challenges faced by small-scale coastal fisheries affect us all: small-scale fisheries produce more fish for domestic human consumption and provide much higher levels of employment than large-scale fisheries. Thankfully, we can all be part of the solution to protect our oceans and the resilience of small-scale fisheries by acting today, for instance by reducing our use of disposable plastics such as bags, bottles, straws, utensils and food packaging. Through such individual action, complemented by research to build the recognition and resilience of small-scale fisheries and fishers, we can ensure that our oceans continue to deliver benefits for generations to come.